I have been using this weather app for years & it’s always been great & after the update, it’s tops! The only reason I gave a 4 star rating & not a 5 is because in my area most of the time when the pollution gets up to moderate or severe, the section on the app that shows which type of pollution is high & how high it is says pollution data not available when I click it on the radar map. I’ve also noticed that in bigger cities & other areas it has more informative info on most of the other types of pollution & my area only has the PM 2.5 & O3 . This just might be the type of monitoring equipment there is in my area, but it doesn’t explain why it seems it’s always unavailable when it gets bad here. Just strange. I have asthma & I have come to rely on this info to tell me what types of pollution trigger my attacks, as well as the health alerts, & I can’t thank the developers enough for supplying this info in an easy to use weather app. So, thanks again, & if you could figure out why it seems to cut out when the pollution gets bad, & maybe add the other types of pollutants, (if possible), you will get your 5 star review. Thanks again & keep up the good work. I’ve come back to this app after living with some others for quite awhile. I had faulted a previous version for not providing (or so I thought) information on the amount of precipitation expected. But one of the two selectable weather providers does (at least now) provide that information, which is very helpful, especially in an hourly forecast. This app has some great features that most other apps don’t, like the real time temperature in the app’s icon. And the customization possible in the radar/map display goes beyond Weather Underground’s Storm in many ways. I wish it could display weather fronts, and I wish the app gave access to the National Weather Service’s forecaster discussion, but even without those this app is probably the best there is for weather nerds. New users should seek out the online manual on the designer’s website here. There’s a lot of power here that is easy once you find it, but not immediately apparent. THIS WEATHER APP INSTANTLY BECAME MY GO-TO WEATHER APP - And I have ALL the weather APPS - BOTH FREE AND PAID! The graphics are fantastic and to me, all the information is very understandable and place ergonomically in the app to where I can make good sense of it. I experiment with all the weather apps almost as a hobby, and I continually find this app to be far superior to any other. The only other app that comes close is still far behind eWeather. Plus - PLUS... 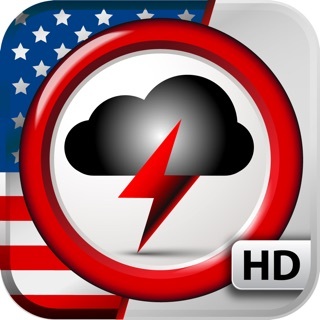 Unlike many other weather apps, eWeather remains loyal to their customers. In other words, they continually update and upgrade the app - not discontinuing and coming out with a whole NEW app that you must purchase AGAIN! They also don't come out later with In-App-Purchases that [you] must purchase to keep up with concurrent app changes. I really thank the developers for that. I have been a customer since about a few weeks after eWeather hit the App Store (years ago!). 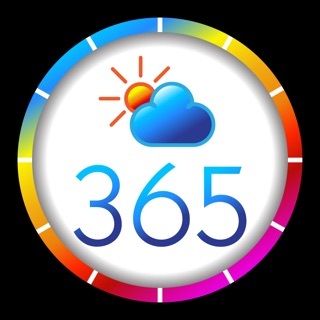 Thanks, eWeather for the continual support!!! !